3/4" Diamond Quilted pad. Cotton with polyester fill cushioning. Velcro billet straps. Girth loops. Size 24" X 21"
Colors available: Black, White, Yellow. Ribbon Trimmed 3/4" Diamond Quilted pad. Cotton with polyester fill cushioning. Velcro billet straps. Girth loops. 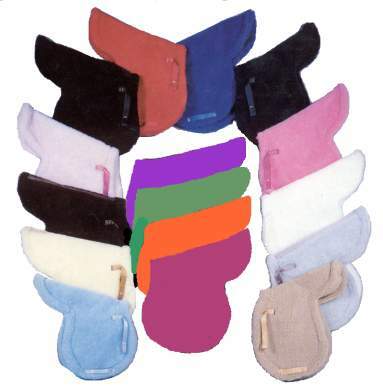 Match these pads with our Halter/Bridle Combos for an Outstanding look and Fun!! 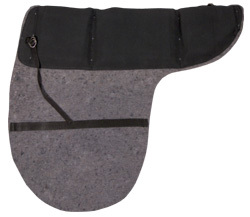 Size 23" X 20"
These English Saddle pads are available in All Purpose, Forward Seat(Close Contact), Dressage, and Eventing. Your lining choices include black quilting or your color choice of fleece. It comes with black nylon billet, but you can pick a matching or contrasting color, or upgrade to Velcro for $1.00 more(order below - RM Velcro Billet). You can also write the name of a Trim in the Comment Box to be used for the billet. Standard size All Purpose measures 25" front to back and 42" at the widest across. 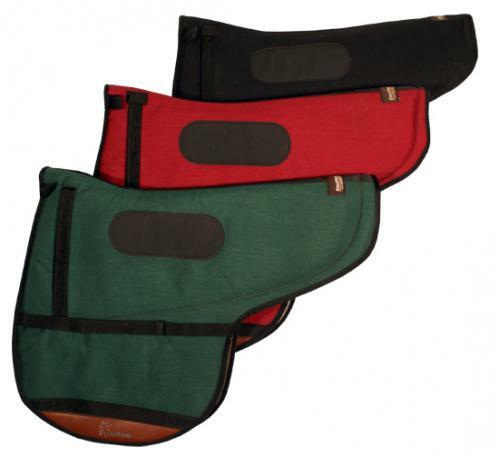 Horse size Close Contact measures 20" front to back and 40" at the widest across. Size: approximently 22" x 39"